Digital self-service enables financial institutions including banks, asset managers, credit card issuers and insurance companies to deliver a new engagement model that transforms simple calls into powerful, visual and digital interactions. Many companies are still to realize the benefits of digital self-service, primarily in that it enables them to provide customers with operational processes that previously were only available via a physical branch. However doing so, by digitally enhancing those process and making them available to customers at any time and from anywhere. 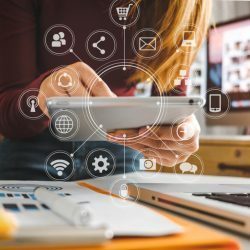 Now more than ever, consumers place greater demands on their banks and financial companies, but simultaneously consumers have greater digital prowess. Financial institutions have addressed this change in consumer attitudes and behavior by developing a stronger focus on customer experience. The term ‘Customer Experience’ reflects the entirety of a customer’s interaction with a financial institution; from initial engagement to product acquisition and spanning across the customer life-cycle. The increasing width and depth executives are giving to customer experience, means that more banks are putting customers at the center of their organization’s strategy. According to a study conducted by Accenture in 2018, 74 percent of bank operation leaders say that customer experience is their top strategic priority. At the risk of becoming antiquated and irrelevant, enterprises are perpetually on the lookout for customer-oriented technologies that represent innovative solutions which will enable them to provide a consistently high level of customer experience. A digital solution needs to be easily incorporated within the enterprise’s existing Fintech ecosystem, whilst expanding their capabilities and improving their market positioning. 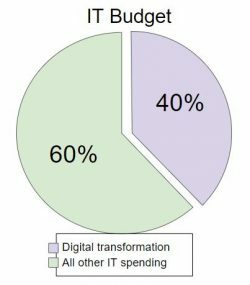 According to Jerry Silva, Research Director for Global Retail Banking at IDC Financial Insights, “There are very few banks in the United States that aren’t investing in transformational technologies… and the largest institutions are allocating more than 40% of their IT budgets to digital transformation”. CallVU’s digital customer engagement platform enters this digital transformation arena as an optimal solution to help companies practically address the mindset of customer centricity. Putting the customer at the center means putting mobile first. In the focus of customer centricity, the mobile phone garners paramount importance as it is the customer’s constant digital touchpoint to the outside world. The smartphone is more than just another interface in a multi-channel environment, but the centerpiece, with the potential to increase productivity and efficiency across all other channels. Indeed, the smartphone could be considered the central platform for modern-day financial management. To reduce costs and optimize efficiency, banks, asset managers, credit card issuers or any other financial service provider, must support customers to resolve their issues in self-service via their smartphone and reduce dependency on staff and physical resources. By automating services and enabling digital self-service to complete financial activities, a heightened level of customer experience is achieved, all while keeping costs to a minimum. The brick and mortar branch is no longer the center of transactional and informational activity. Growing customer expectations entail that financial service providers should be able to digitally manage a growing list of increasingly complex processes, such as loan approvals, compliance requirements, customer authentication, and secure access. This entails that the current and growing dominance of transitioning to mobile-based digital self-service becomes key to success. Increase operational efficiency – Digital self-service relies on automated processes which result in less administrative work. Strengthen engagement as customers can complete conversion processes even if they move between channels. Customers can effectively complete product purchases independently by being able to fill out forms, submit documentation, digitally provide their signature and provide ID. All within the one interaction. Using a visual interface on their mobile phone, customers can be routed to resolve as many issues as possible in self-service; from checking and changing account details, to paying bills and clarifying product information. If customers are unable to resolve their issues in self-service, they can be routed to a live agent, who through an enhanced digital collaboration portal, can support customers by sharing screens and more effectively supporting them through the customer process. The information collected via a digital self-service session can be automatically saved to the company’s CRM. Increasingly consumers take advantage of the wealth of digital tools available that help them navigate the practicalities of daily life. No less, they expect to obtain similar conveniences when interacting with their bank. For banks to meet customers in this evolving trend, they need to provide tangible value through their digital assets; their apps, their mobile websites and social media channels, putting these touchpoints at the cornerstone of their service and retail delivery strategy. This transformation to mobile-based digital self-service will not only serve to reduce costs but satisfy customer expectations, as they continue to bank on your future.